Bicyclists and bike planners are pioneers in using crowdsourcing to help improve biking in their communities. For example, they were among the first to use GPS tracking apps to embrace the use of GPS tracking to help obtain data on where and when people travel by bike. This tracking data can be used to better understand actual behaviour of bicyclists (which routes they choose) and can highlight where improvements are needed. 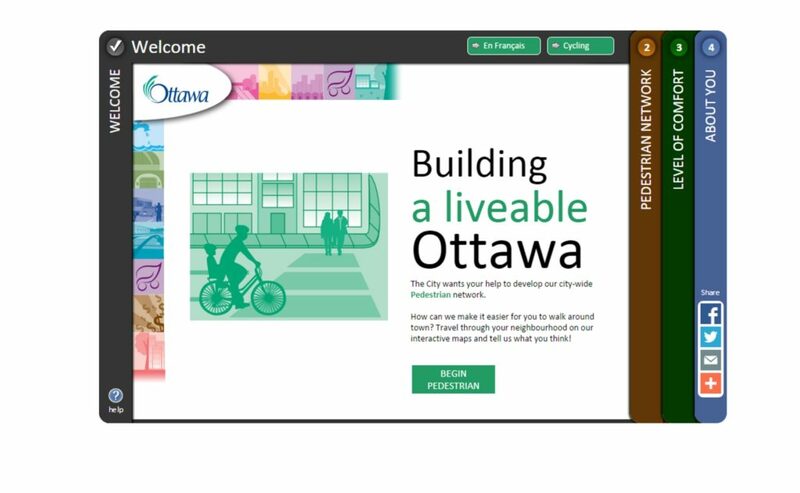 This page presents examples of how crowdsourcing is being used in bicycling. 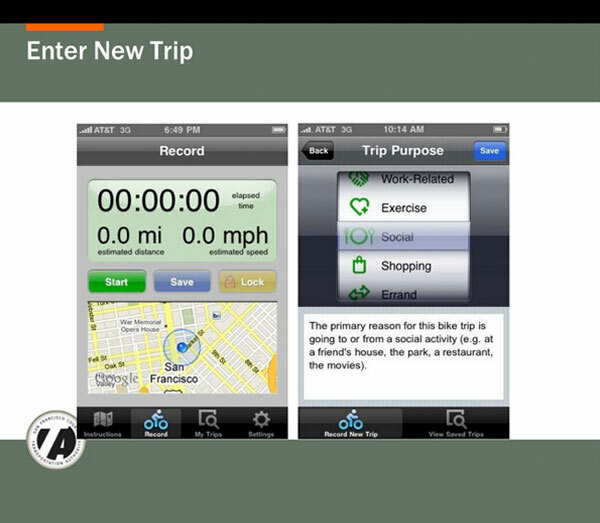 Ride Report is an application that tracks bike trips and then allows users to describe the quality of their trips. 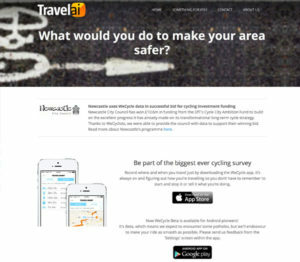 The data is provided to cities anonymously for use in helping plan bike facilities and transport planning. The map at the bottom on the right shows “stress levels” for streets in downtown Portland. 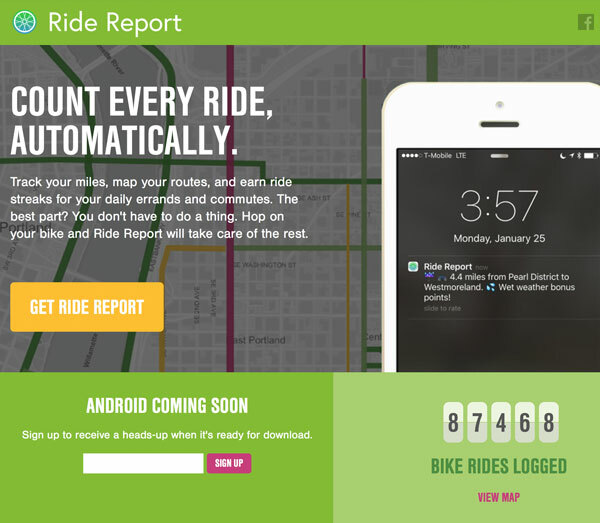 More from Streetsblog California: Crowdsource Bicycling App ‘Ride Report’ Goes National Today (2016). 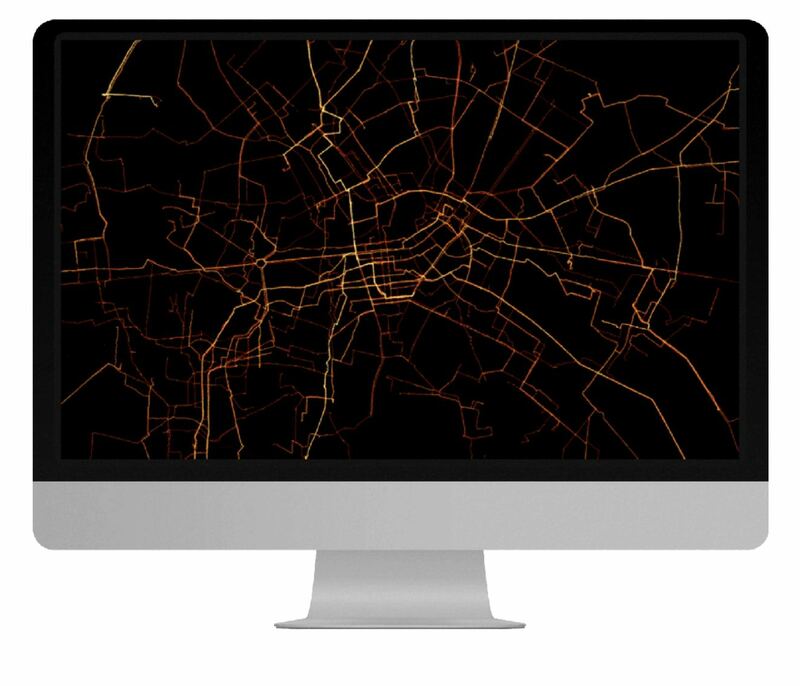 Cycle Tracks is an open source bike tracking application developed by the SFCTA. 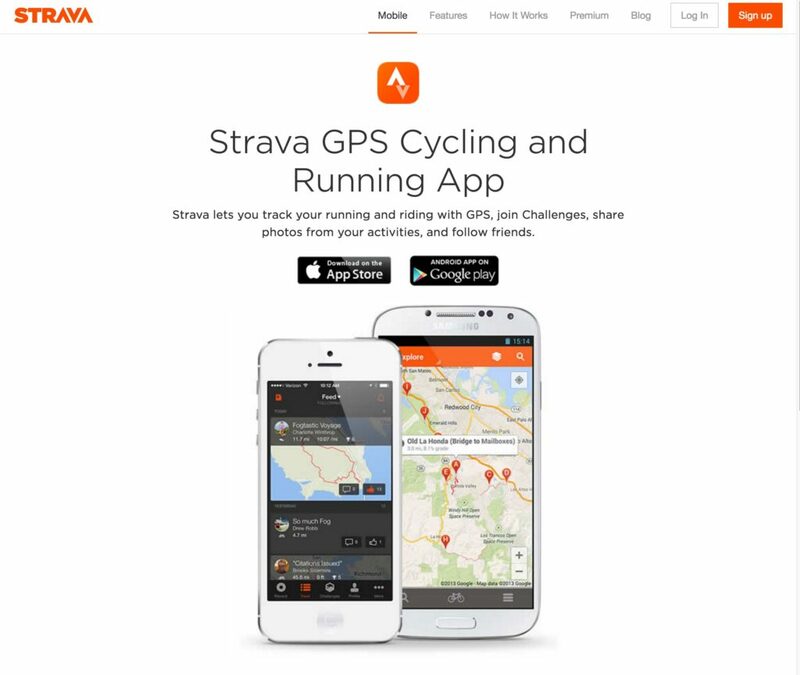 Strava mobile app tracks walking, running and biking paths. Many commercial fitness apps sell or give tracking data to public agencies for use in helping plan better biking and walking facilities. Read more: GPS Tracking Applications. 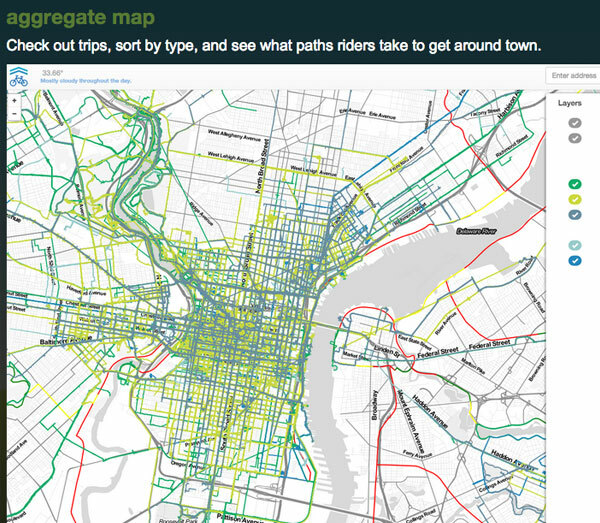 CyclePhilly is a smartphone app for recording your bicycle trips. Data from the app can be used by regional transportation planners in the Philadelphia area to make Philly a better place to ride. Cycle Philly was developed by Code for Philly, an open group of citizens working to harness the power of technology to modernize citizenship in Philadelphia. The WeCycle application by TravelAI is an application that tracks you as you bicycle and collects all the information so that it can be used by planners to help improve bicycle facilities. Here’s an article from Fastcoexist on WeCycle: A new app tracks where cyclists actually ride to help plan better paths. 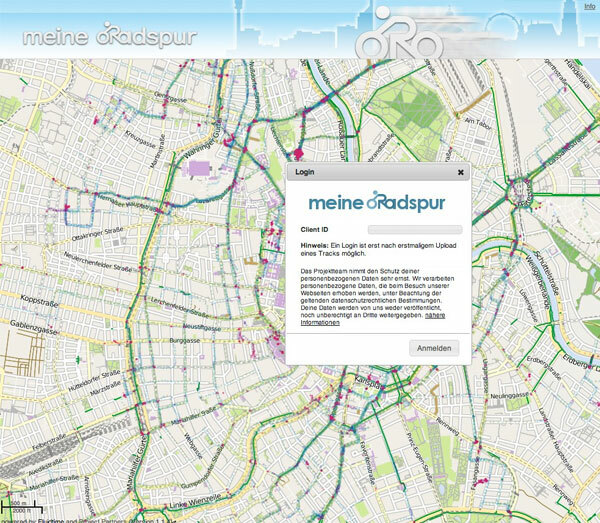 Meine Radspur (German) is an application developed in Vienna uses GPS to record bike trips, users can identify hazards and ideas either in real time or in reviewing their trip later (German). MeineRadspur means “my bicycle path” in English. These applications allow you to send data directly to a map that keeps track of where bicyclists experience problems. Many work directly from your bell – in other words, you ring your bell and a message is sent that there is a problem in this location. They use GPS tracking and bluetooth. PING if you care! lets cyclists communicate directly with the city of Brussels to make cycling more comfortable and safer. Users track their rides and push the PING button whenever they find a flaw in cycling infrastructure, unclear signage, conflicts with other road users or even the fear of dooring. 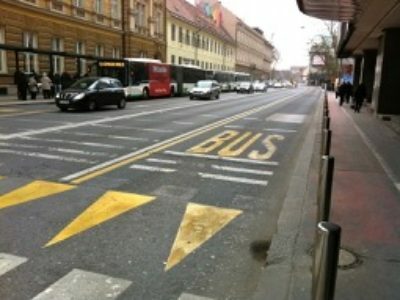 The application was developed by Bike Citizens of Graz, Austria. 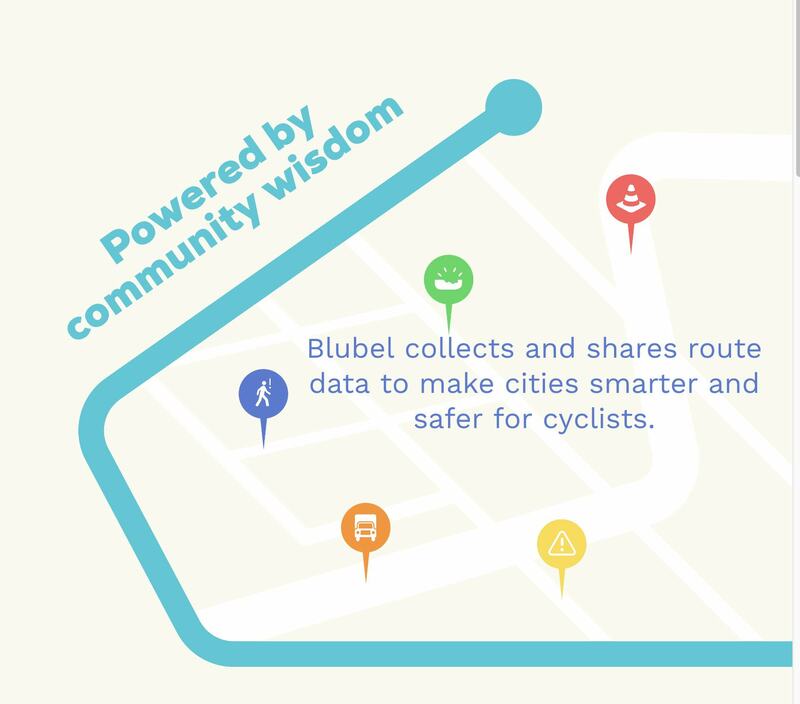 The Blubel bike bell provides navigation information via LEDs on the top of the bell and learns from the cycling community to find the safest routes by gathering data from every time the Blubel is rung, These location points and other journey data are gathered and analysed to calculate safest routes. The Connected Cycle pedal is a connected pedal that automatically records the speed, route, incline, and calories burnt of every bike trip. These statistics are sent to the cloud, and made available to users through the Connected Cycle application available on smartphones. Collaboration consists of working together to develop a plan or take action. We describe three types of crowdsourced collaboration: engagement, education and process. 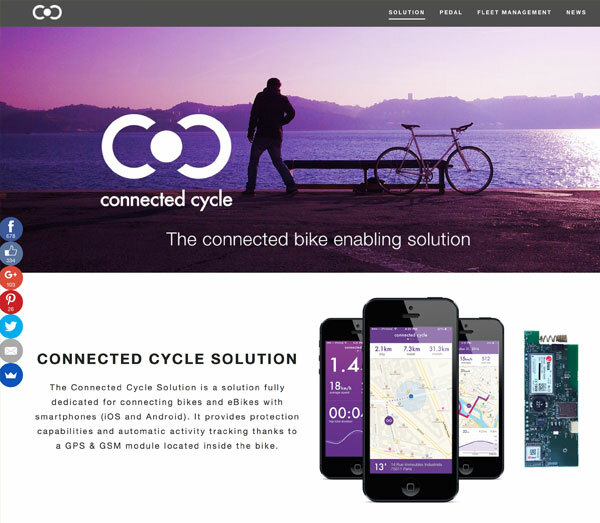 Here are examples of applications used for crowdsourced collaboration in bicycling. Ringstrasse 150 is one of our projects. 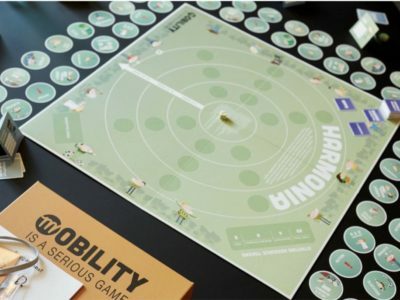 It’s a collaboration application designed to generate ideas and increase support for better bike facilities on Vienna’s Ringstrasse. 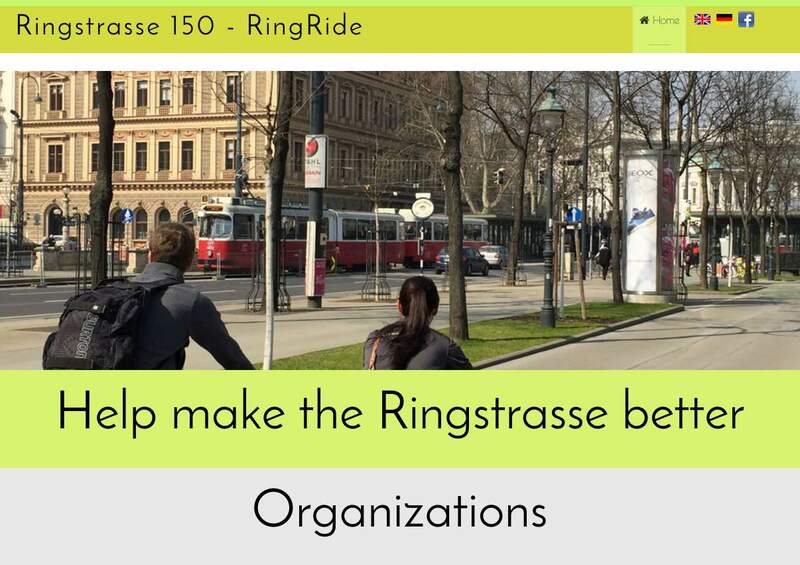 It consists of the RingRide mobile phone game designed to engage and educate people, and the Ringstrasse150.com website for getting involved in improving the Ringstrasse’s bicycle and pedestrian facilities. More about Ringstrasse150 from Our Projects. Acting means actually doing something besides developing plans. 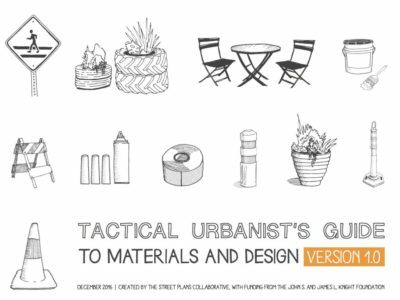 We describe five types of crowdsourced action: DYI Urbanism, Crowdfunding, Peer-to-peer Transport Service, Advice, and Advocacy. 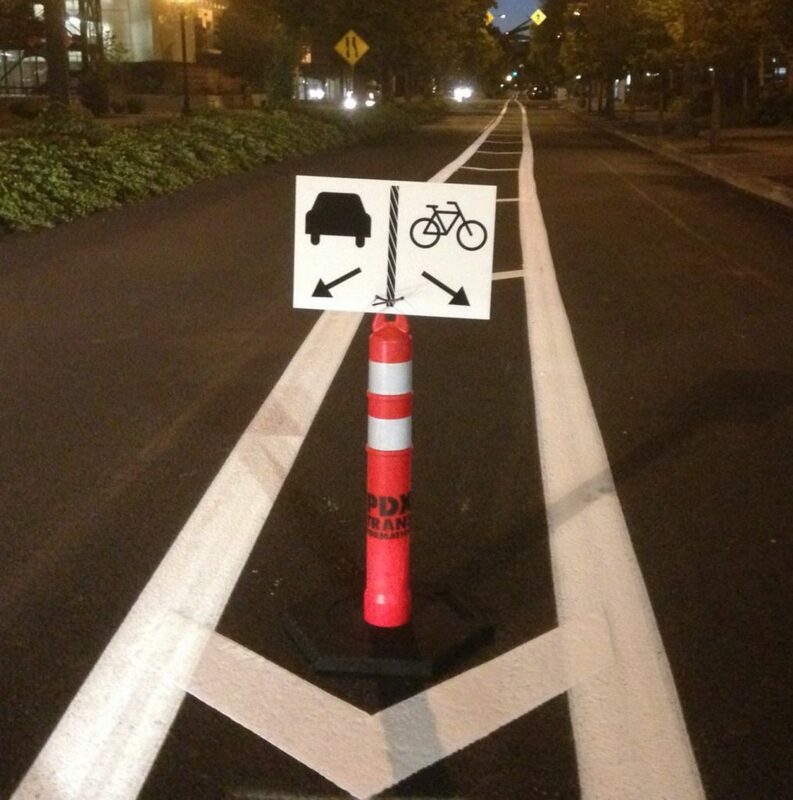 Here are examples of applications used for crowdsourced action in bicycling. Portland’s PDX Transformation (article: Demanding More from the City). New York New York’s Transformation Department and their DYI bike lanes. Jonathan is an architect and bike rider working to increase safety of pedestrians and cyclists. 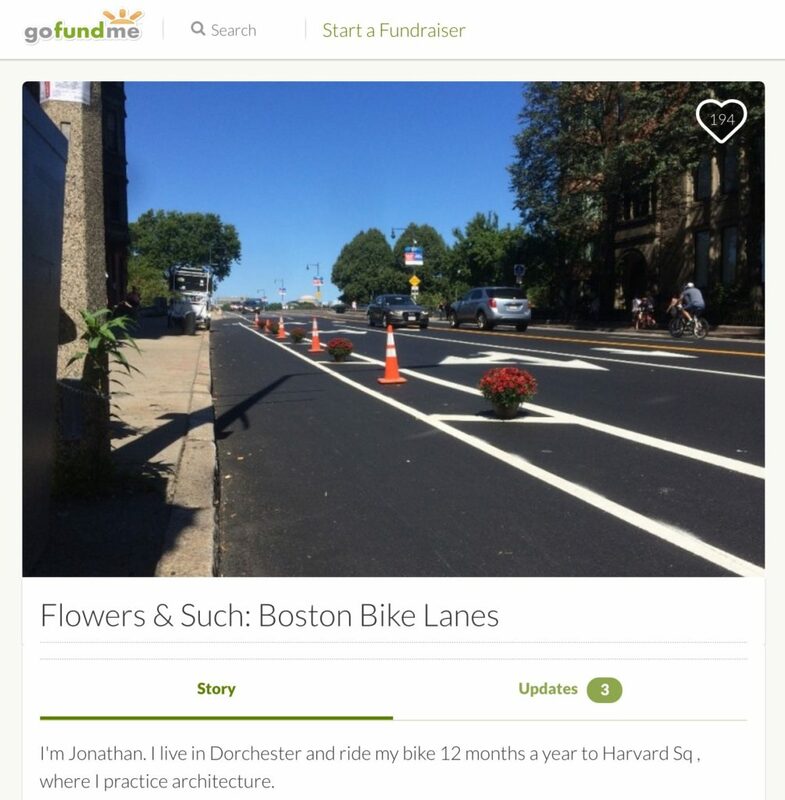 He has a crowdfunding project called Flowers & Such: Boston Bike Lanes on GoFundMe. So far he’s raised about $7,000 for flowers and cones to create interventions on the Mass Ave corridor, the most dangerous stretch of road in Boston. 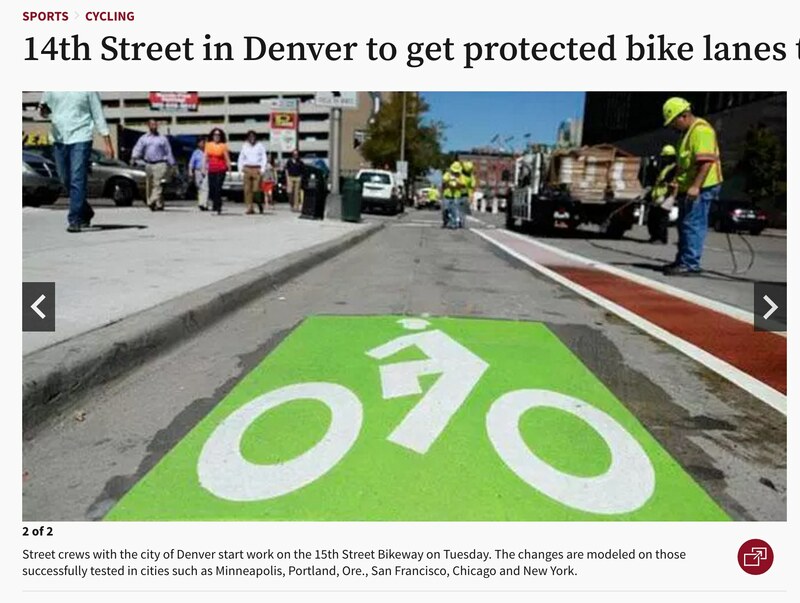 Denver's 15th Street Bikeway was partly funded via a crowdfunding campaign. Denver Bike Lane Project: Denver’s 15th Street Bikeway was partly funded via a crowdfunding campaign. The hidden bias of big data by Joe Cortright of City Observatory (May 2017) on the need for more cycling data – especially on aspects such as ‘near misses’. Anonymous San Franciscans Are Making Renegade Bike Lanes; John Metcalfe; Sep 21, 2016. More Accurate Bicycle Counter Could Give Complete Streets Advocates a Boost; by Joel Cohen, in Next City, June 6, 2016. City planners tap into wealth of cycling data from Strava tracking app; Peter Walker in The Guardian Bike Blog, 9 May 2016. Where do cyclists ride? A route choice model developed with revealed preference GPS data (paywall) – article by Joseph Broacha, Jennifer Dill and John Gliebeb in Transportation Research Part A: Policy and Practice (December 2012). Article by: Eric Jaffe in Atlantic Cities reporting on the research results: What’s the Best Way to Figure Out What Bike Riders Really Want? ; The Atlantic Cities, October 24, 2012. 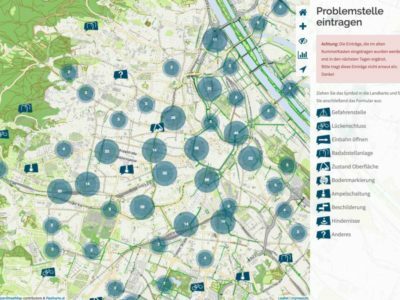 The Radlobby Wien (Vienna Bicycle Lobby) just revised its problem reporting application RadKummerKasten. 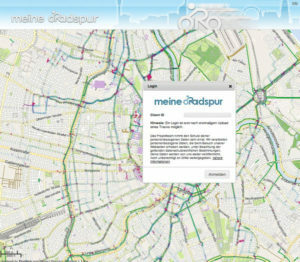 It’s a great example of a customised reporting application and is built with OpenStreetMap and Radlkarte.at.